Mill House01485 518779work Self-cateringThis large detached property sits in the tranquil periphery of the local village. Only a short walk away is the local pub and there are plenty of attractions the explore in the local vicinity including tennis courts, a playing field, shops and more. This property enjoys comfortable furniture, a snooker table and modern utilities. 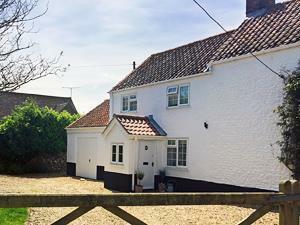 Mill House is a spacious, detached cottage quietly situated only a five minute walk from the village centre. This large detached property sits in the tranquil periphery of the local village. Only a short walk away is the local pub and there are plenty of attractions the explore in the local vicinity including tennis courts, a playing field, shops and more. This property enjoys comfortable furniture, a snooker table and modern utilities.